…Yet, there are no drugs in NooCube’s formula. Not even semi-synthetic compounds that might be construed as drugs. So, what’s the deal here? Is NooCube the real deal or simply talking a big game? And should Mind Lab Pro be worried? More importantly: Why am I asking you?? Let’s get on with the comparison review. Mind Lab Pro or NooCube: Which is better? But, really, who cares about any of that, if that the nootropics are all junk. What I’m primarily concerned with here: Do Mind Lab Pro’s and NooCube’s nootropics work? And are their formulas designed in a way that maximizes their nootropics’ potentials? The universe is a douche. As the Universal Nootropic, Mind Lab Pro takes the “pressure point” approach to brain health and cognition, targeting the six central “points” — or brain pathways — with its 11-ingredient formula. Those six points being: Energy, Brain Chemicals, Blood Flow, Brainwaves, Neuroprotection, and Neuroregeneration. And the result is pretty cool. Essentially, what you have here is a diverse stack of unique, high quality nootropics that, while they individually target specific brain benefits, synergize in a way that enhances overall brain structure and mental performance. For example, Mind Lab Pro’s citicoline supplies choline for acetylcholine synthesis and the Bacopa monnieri keeps more acetylcholine active during neural synapse. Everything works together towards Mind Lab Pro’s ultimate goal: 100% Brainpower. Really, there’s a lot of everything for everyone in this stack — with exception to caffeine and other stimulants. Read my in-depth review on Mind Lab Pro. NooCube also offers a caffeine-free, stimulant-free nootropic experience, seemingly taking notes from Alpha BRAIN (although the managers never admitted to this), given the significant overlap between NooCube and Alpha BRAIN. Having just written a review on Piracetol, which nearly delivers the same exact formula as NooCube (Piracetol has the same ingredients plus pterostilbene), I’m primed to notice such similarities with Onnit’s Alpha BRAIN. 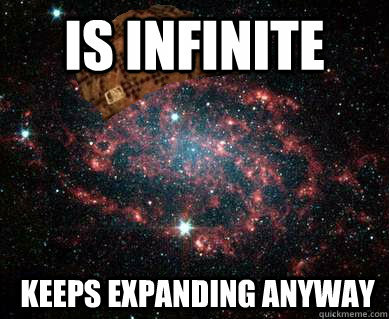 Not that that’s significant on its own. Really, it only calls into question: Why buy NooCube if there are other supplements that do what NooCube does, except better? However, as far as this comparison goes between Mind Lab Pro and NooCube, the latter attempts to compete on the cholinergic scale: Up against Mind Lab Pro’s citicoline + bacopa is NooCube’s alpha-GPC + bacopa + huperzine-A. 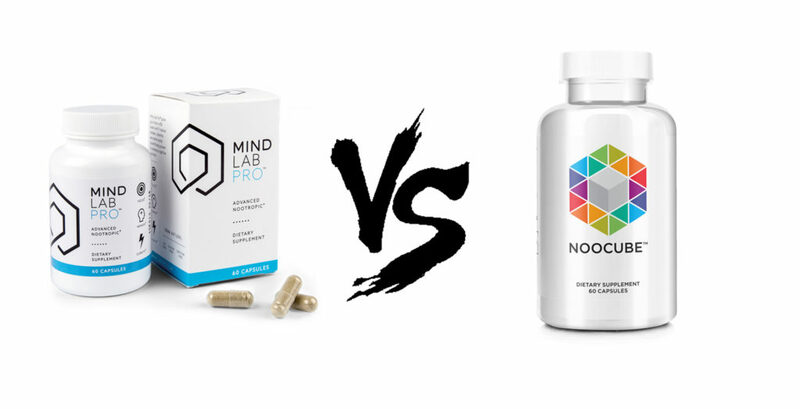 Depending on the quality and quantity of NooCube’s nootropics, these guys may have a fighting chance against Mind Lab Pro. Read my in-depth review on NooCube. Citicoline (as Cognizin®) – My preferred nootropic choline source, citicoline outperforms other cholinergic noots with its two-for-one choline + cytidine bond. Great for brain energy and brain building. More on Citicoline. Bacopa Monnieri Extract – Viewed by many as the student’s herb, Bacopa is an awesome Ayurvedic adaptogen for memory and learning. May need a few weeks of supplementation to reach peak effect. 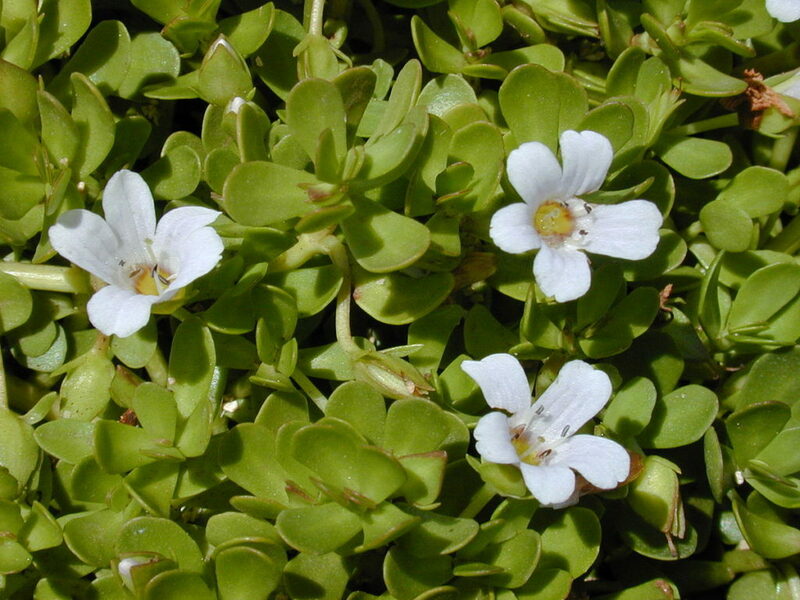 More on Bacopa. Lion’s Mane (Full Spectrum) – This is sort of a “wow” addition to Mind Lab Pro’s formula. Few supplements carry this shroom, which stands out for its neuroregenerative potential. Mind Lab Pro supplies a full spectrum bio-active extract. More on Lion’s Mane. Phosphatidylserine (as Sharp-PS®) – A clean, green, sunflower-derived brand of PS, a brain healthy phospholipid. Sharp-PS® is a smart move, better than the usual soy-derived stuff. More on Phosphatidylserine. N-Acetyl L-Tyrosine – NooCube has L-tyrosine. But Mind Lab Pro supplies N-Acetyl L-Tyrosine, a more premium form of this stress reducing amino acid. More on L-Tyrosine. L-Theanine (as Suntheanine®) – Again, NooCube has L-theanine, yet Mind Lab Pro does them one better with the more premium Suntheanine® branded L-theanine. More on L-Theanine. Rhodiola Rosea Extract – 3% rosavins, 1% salidroside seems the best Rhodiola extract, at least from a clinical research perspective. I love this adaptogen so much. There’s practically never a bad time to supplement Rhodiola. More on Rhodiola. Maritime Pine Bark Extract – Another “wow” addition, Maritime Pine Bark Extract supplies some major antioxidants for neuroprotection and neuroregeneration. This nootropic may work well with Lion Mane’s brain building benefits. Cat’s Claw – While it’s not the best Cat’s Claw ingredient I’ve seen (that title likely belongs to Alpha BRAIN), it’s a unique feature here (relative to Mind Lab Pro, which does not have Cat’s Claw). Oat Straw (10:1) – As far as I can tell, this is the only herbal extract in this formula. Oat Straw seems to acutely improve cognitive function in short bursts. More on Oat Straw. Alpha-GPC – While citicoline is my preferred choline donor, alpha-GPC does impress with its higher concentration of choline per serving. More on Alpha-GPC. Resveratrol 98% – Not too sure if 14 mcg resveratrol will accomplish much. However, it is an awesome antioxidant with well-demonstrated benefits on brain and body health. If the “Unique Features” are any indication, it should be pretty clear by now which product of these two has better quality ingredients. And don’t get it twisted: quality matters. You can have the best nootropics of 2018, yet they don’t amount to much if your body can’t efficiently absorb them. Both Mind Lab Pro and NooCube showcase an impressive stack of cognitive enhancers. And there’s nothing that really stands out as out of place in either supplement: every ingredient makes sense. However, as I mentioned earlier, what I’m primarily concerned with is do these supplements work in a way that maximize their nootropics’ potentials? For Mind Lab Pro, the answer to that is: Yes. Mind Lab Pro doesn’t simply stack nootropics. They stack nootropic brands and extracts; full spectrum shrooms and highly absorbable vitamins. NooCube, on the other hand, provides basic herbal powders and weak compound forms. It’s simply not designed to work, whereas Mind Lab Pro goes above and beyond on both the potency and quality scales. Mind Lab Pro is all-around more powerful and effective. From acetylcholine to dopamine, neuroprotection to neuroregeneration, Mind Lab Pro has your back* (*brain). By taking the natural nootropic route over the druggy caffeine speedway, Mind Lab Pro manages to optimize brain structures in a way that not only enhances cognition now but for later as well. And the brain benefits of this supplement are only further enhanced by the manufacturer’s dedication to premium, potent extracts and nootropic brands. Really an impressive formula all around. NooCube is a somewhat expensive bargain buy. What I mean by that is NooCube is a “Bargain Bin” supplement, one that imitates higher-end supplement products yet comes at a cheaper price …but not that much cheaper. It’s an expensive “Bargain Bin” item, putting it in a category class that’s worse than actual bargain bin options. Perhaps NooCube has its merits. Yet, Mind Lab Pro has those merits as well — and what’s more: Mind Lab Pro actually works. My recommendation by this point should be obvious. NooCube does stack an impressive list of awesome nootropics, yet falters due to poor nootropic quality and several weak dosages. As I said in my individual review on NooCube: Simply put, NooCube is not powerful or effective enough to work. It’s poorly designed, which is a shame given its nootropic choices. Mind Lab Pro works not only because it chooses the right nootropics but it gets everything else right as well: the ingredient quality, the dosages, the clean, green Plantcaps® capsules. If you’re still set on NooCube’s list, I suggest checking out Alpha BRAIN or Alpha BRAIN Instant. However, if you want a nootropic stack that works — and works very well — I recommend Mind Lab Pro.